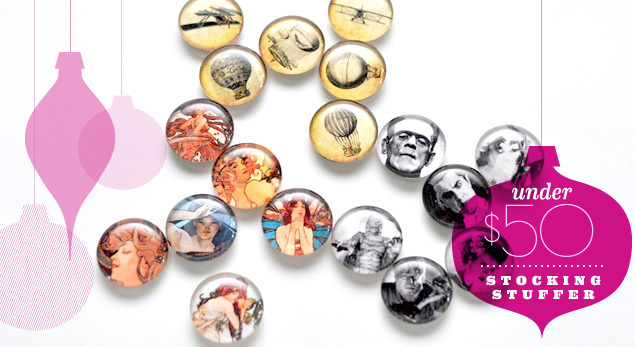 It doesn’t get much cooler than these Shabby Apple magnets for only $18.75. You can choose from a variety of prints. Art Nouveau, The Wright Stuff, and Twilight are shown above, but check out the full selection for pin-up fans, nature lovers, and cat people. Shop them here. Check ShopTalk daily for new gift suggestions. See all of our stocking stuffer ideas here.